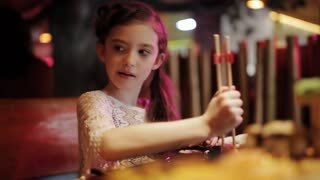 Family dinner at pan-Asian restaurant. 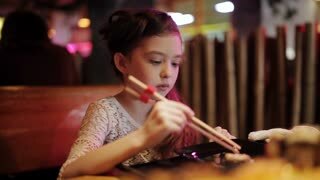 Girl eating rolls with chopsticks. Big set on sushi and rolls on the restaurant plate.